Titan Atlas | Do We Need Stronger Sentences For Data Theft? The recent case of a woman being fined just £1000 for the illegal selling of 28,000 customer records has led to renewed calls from the UK’s Information Commissioner (ICO) Christopher Graham for custodial sentences for data theft. As things stand now UK courts can issue unlimited fines but not custodial sentences. June 2012: An IT failure at RBS, NatWest and Ulster Bank locked customers out of their accounts for days (weeks for Ulster Bank customers). All of our LinkedIn contacts can now claim 10% Discount on ALL new contracts and general product pricing. To qualify, simply make your initial contact with us via LinkedIn – It is as simple as that! Tech giant Google says it will hide content removed under the “right to be forgotten” from all versions of the search engine when viewed from countries where removal was approved. Under the “right to be forgotten” ruling, EU citizens may ask search engines to remove information about them. Now, removed results will not appear on any version of Google. EU privacy regulators previously asked the firm to do this. The UK government and the professional body for HR and people development “Chartered Institute of Personnel and Development” (CIPD) have joined forces to launch an e-learning tool that companies can use to educate their workforce about cyber security. Google has announced the first smartwatches powered by its Android Wear operating system are now available for pre-order. 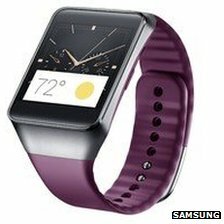 The LG G Watch and Samsung Gear Live – both featuring rectangular screens – mark an attempt to standardise the way Android wearable devices function. Google said that Motorola’s circular Moto 360 would not be released until “later this summer”. Analysts say the move to a unified approach could drive sales. BT has apologised after “many” users in the UK experienced problems recently connecting to the internet, but says the issue has now been resolved. Users complained they were unable to connect to some websites – including social media, banking and shopping sites – as a result of the problems. Titan Atlas Limited would like to wish everyone on LinkedIn a very Happy New Year and we hope you will all start this year as you mean to go on and reap due rewards for your efforts.